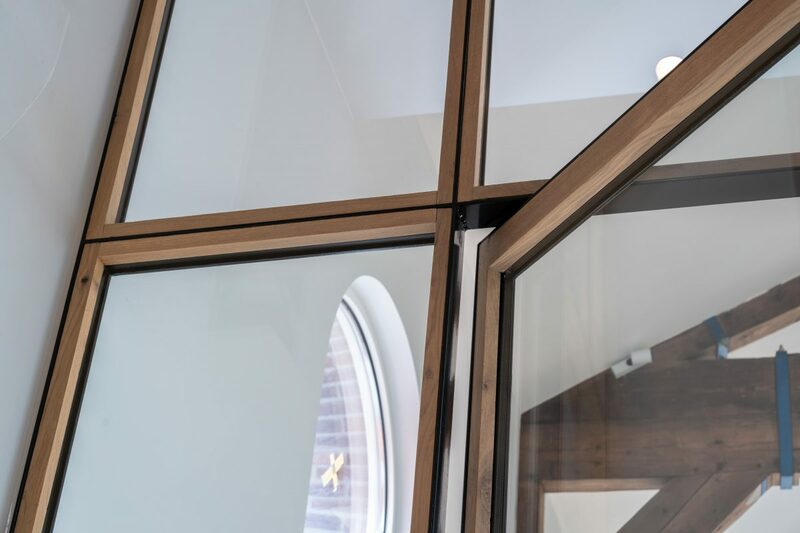 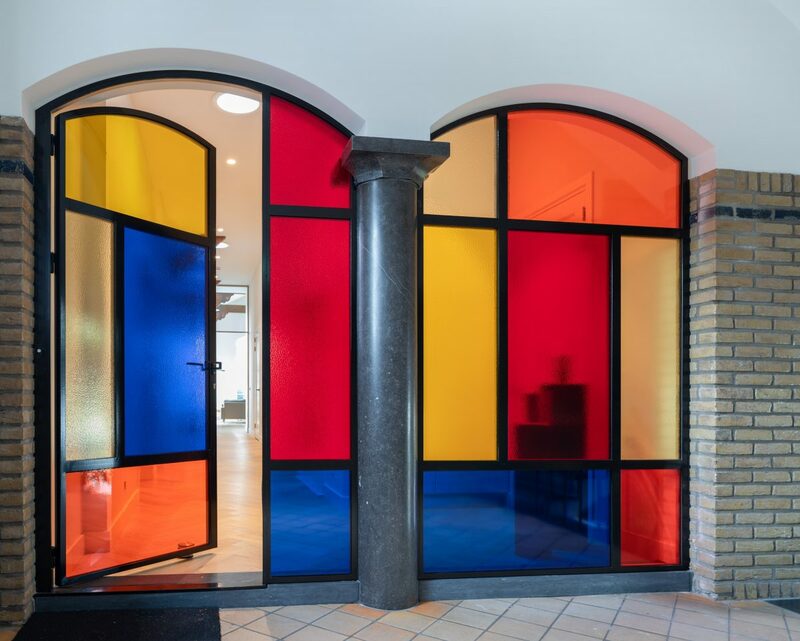 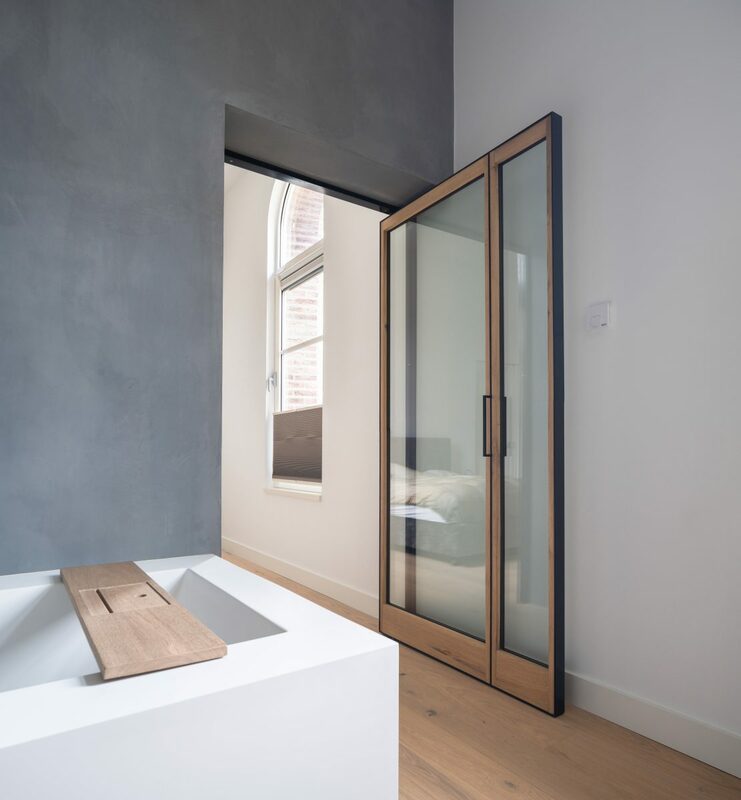 For this private residence in an old monastery, we designed custom-made partitions that would fit both the modern interior and the old iconic building. 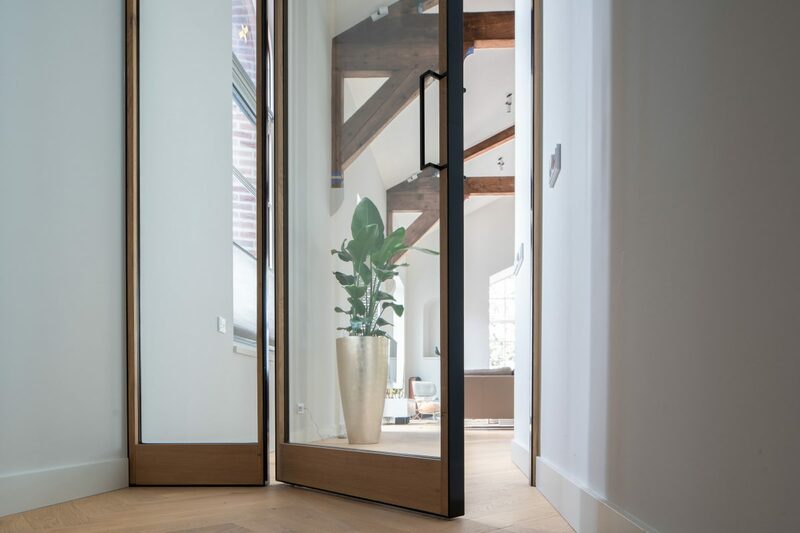 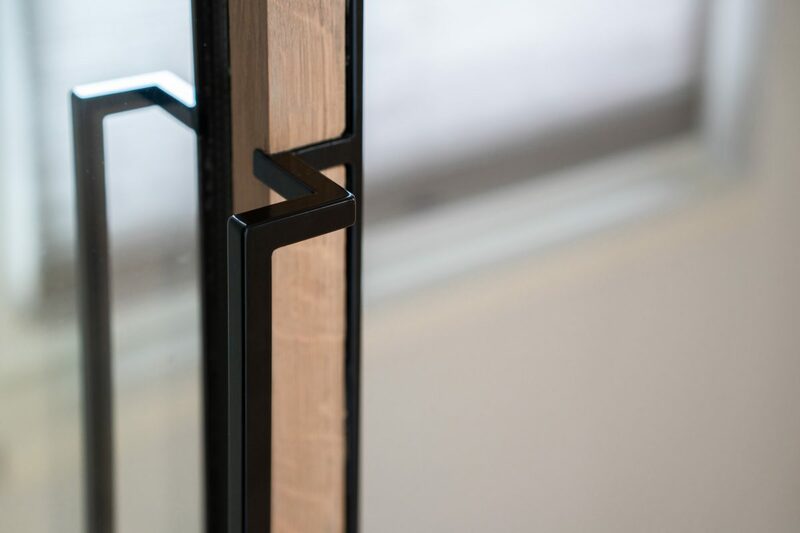 The construction and materials of the existing architecture are reflected in the doors and interior windows. 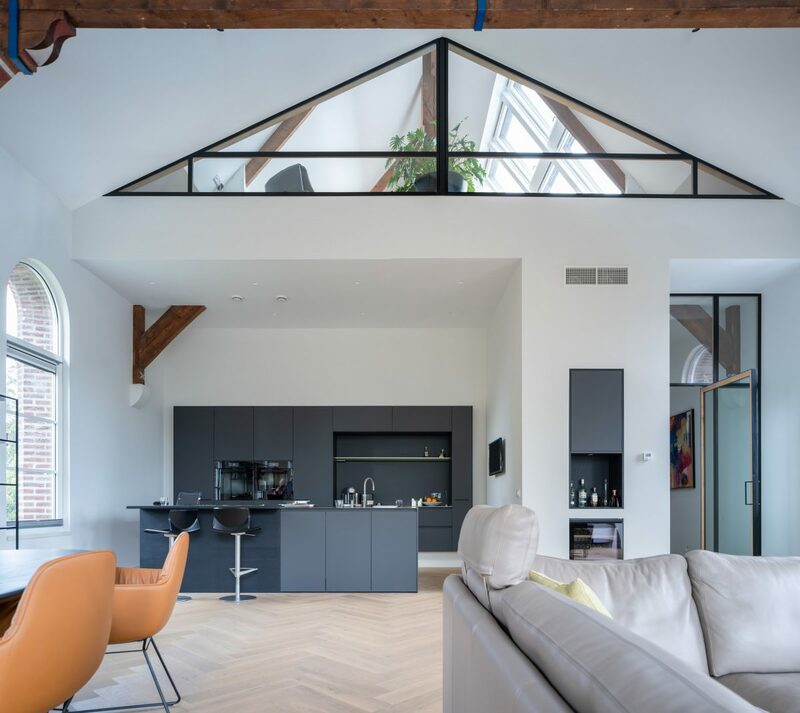 The steel black lines appeal to the modern interior while the solid wood connects to the existing rafters.